My very favorite thing about working in a yarn store has to be the show and tell. The stunning and unique finished projects that come through the doors never cease to amaze and inspire. It is a very special treat to see (or at least see photos of) a finished object that I happen to be working on at the moment! 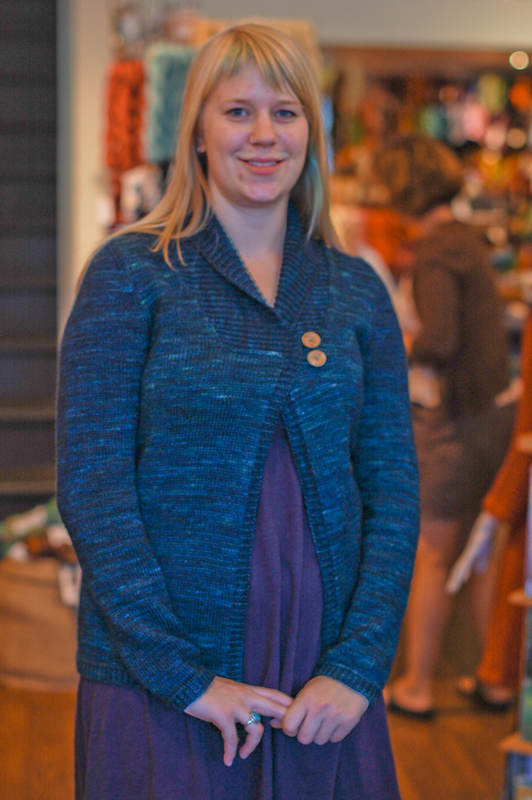 This pretty Larch cardigan came through the doors in exactly the yarn I’m working in too! Kynna immediately offered to model and grabbed her camera. This beauty comes to us care of Aliza, a knitter whose shear number of sweaterly accomplishments has me in awe! Her Larch (like mine) is knit in Madelinetosh DK yarn in the deep and lovely colour of Cousteau. I’m liking the yarn so far, it’s a smidge thicker than the original but I think it’s going to work anyways. 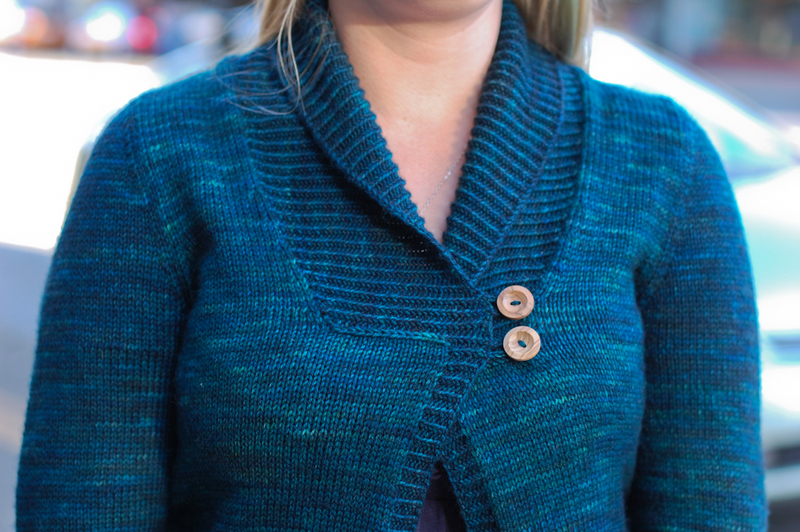 Aliza has noted that a good blocking gave her sweater a nice drape so I’m pretty excited. 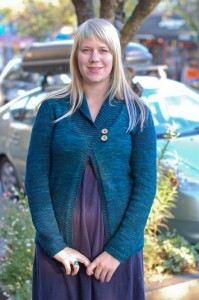 To read more of Aliza’s tips and to grab any further details you can check out her ‘Diving into Larch‘ project on Ravelry. This entry was posted on Tuesday, September 6th, 2011 at 9:58 pm	and is filed under Uncategorized. You can follow any responses to this entry through the RSS 2.0 feed. Both comments and pings are currently closed.